There is no better time to book a trip to Paris. If you've always wanted to visit this exciting capital city, what are you waiting for? 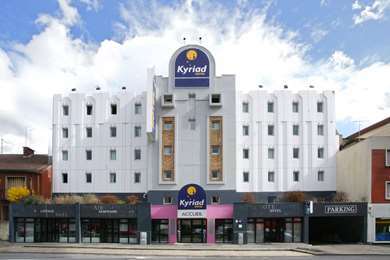 Book today and find a Kyriad Hotel to suit you. Close-by to many of these stops is the city's River Seine, running diagonally through the heart of Paris. Like many capital's, it was once used for transport and trade, now a beautiful visitor spot full of charm and history. The city is also home to two islands: Île Saint-Louis and Île de la Cité. Here lies Paris' oldest architecture, with attractions such as the Notre Dame cathedral, available to view. Dating back to 4200 BC, breath-taking architecture encapsulates the history of this city, from past to the continuously changing present. Whether business or leisure, two days in Paris will be an unforgettable experience. Day one visit the iconic, Eiffel Tower. 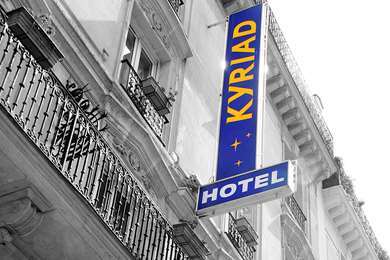 Stay at Hotel Kyriad Paris 15 - Lecourbe nearby to make the most of this quaint area. After, visit the Champs Elysees, a renowned area for shopping both high-end and high street. Walk up to Arc de Triomphe located at the top this shopping Mecca to learn discover Parisian history. Day two wander round the Latin Quarter for quintessential Parisian charm. Windy roads full of shops and restaurants will keep you busy; the Shakespeare and Company bookshop is especially recommended. Discover the Notre Dame cathedral afterwards. 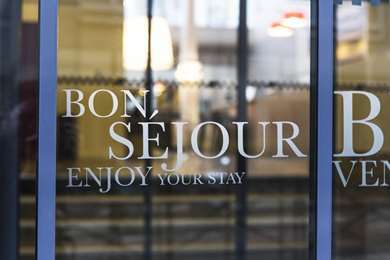 In a week you can discover much more of Paris and its surroundings. A city known for artistic and cultural history, visit the Louvre to see work from Van Gogh and Monet. The Pompidou Centre in comparison is a must for modern art lovers. If a day out of the busy buzz is what you crave, the Palace of Versailles just outside of Paris has lots to see and discover. Home to many green spaces, the Luxembourg Gardens has picturesque spots to sit and relax in. For a good night life head to the Oberkampf area. Not just for adults, there are lots for children to enjoy too. 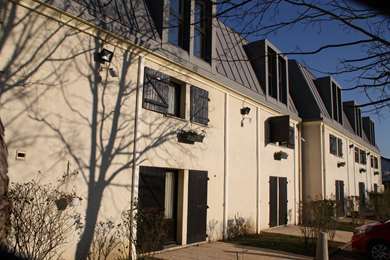 Stay at Hotel Kyriad Paris 12 Bercy Village for great family rates and a slightly quieter area. With something for everyone, La Fayette is the city's biggest department store and will please all the family's shopping needs! 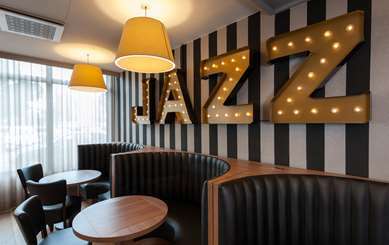 There is an outstanding restaurant on the top floor, so sit down and dine out looking out at panoramic views of the city. The Paris Science Museum is a great way to entertain your children while they learn. 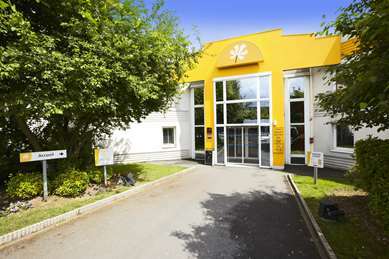 And close to Disneyland Paris also, many of Kyriad's hotels are easily commutable to other regions and cities across France. Three airports connect Paris to many European and International countries; as well as many other charming French cities. 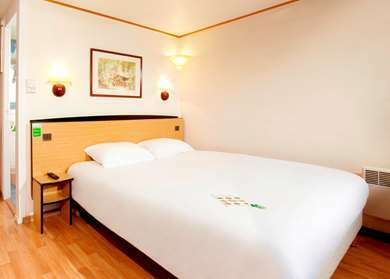 Travel to Gare du Nord station by Eurostar from London or Brussels, and French cities such as Lille and Calais. 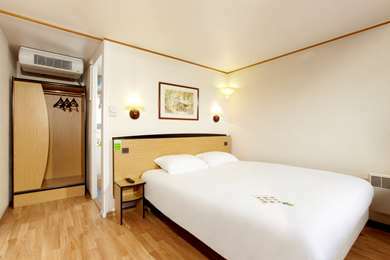 If you're on a budget Eurolines and Megabus coaches are available from many destinations. Book early for cheap deals. While travelling around Paris use any number of public transport systems. 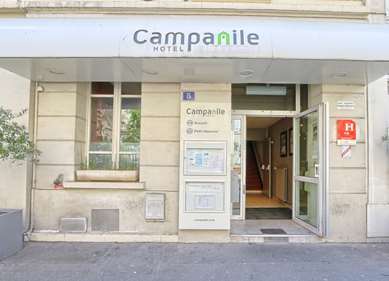 The city has an easy-to-use and extensive Metro and RER network. Or SNCF and Thalys mainline routes will take you to and from, Europe, Paris and France. Bus routes cover the city, as well as bicycles, which are available to rent. Tramlines also run in suburban areas. A foodie's heaven, Paris is the food capital of Europe. An array of high dining restaurants and food markets provide something for everyone. Michelin star restaurants sit proudly on the city's streets and boulangeries constitute a large part of French high street culture packed with just baked baguettes and mouth-watering cakes - Le Marais area is especially recommended. If you don’t mind early mornings, catch a Parisian market on weekdays or weekends. Bastille's runs every Sunday morning. With events throughout the year, there's something to do whenever you visit. The traditional holiday, Bastille Day, on 14 July, celebrates all things French with military parades and parties around the city. And many literary, musical and performing arts festivals fill the months, such as, Lefestival Chorus in mid-March. This is free like many Parisian cultural celebrations. A country and city with maybe more bank and public holidays than most, it's important to check when these are when planning your trip as many things are closed on these days (shops and tourist attractions included). The Parisian cemetery Pere-Lachaise is home to many well-known remains including Jim Morrison's and Oscar Wilde's!